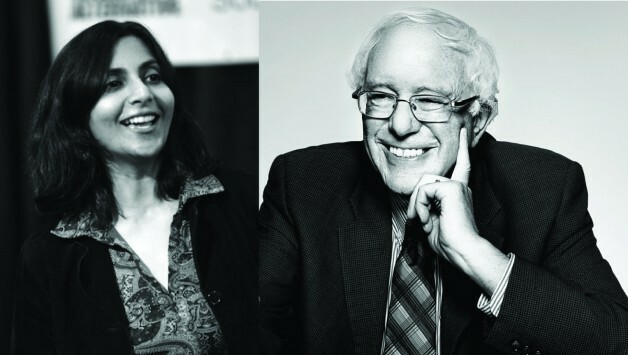 On Saturday August 8 the most well known socialists in the U.S., Presidential candidate Bernie Sanders and Seattle Socialist Alternative City Councilmember Kshama Sawant, will share the same stage to celebrate the 50th Anniversary of Social Security and Medicare. “It’s very exciting to have Sanders join us in Seattle. It’s a great opportunity to build the socialist movement to take on the billionaires that are strangling our economy and democracy. The support Sanders is receiving is a resounding confirmation of what my election showed in 2013 – people are hungry for an alternative to corporate politics,” remarked Councilmember Sawant. “When I ran in 2012 and 2013 I was almost alone as a candidate in calling for the $15 minimum wage workers were demanding. Yet even now after the passage of $15 in Seattle, San Francisco, L.A., New York, and all 10 campuses of the University California system, the majority of corporate-backed candidates continue to drag their feet. Sanders, along with Jill Stein of the Green Party, are virtually alone as presidential candidates calling for a $15 federal minimum wage,” Sawant continued. “Sanders stands out from the rest of the presidential candidates in refusing to take corporate money. I also do not accept corporate cash. Corporate CEOs are spending hundreds of thousands of dollars to defeat me and elect their hand-picked representatives to the rest of the Seattle City Council. Sanders will face an even larger storm of corporate money against him. The billionaire class controls the leadership of both the Republican and Democratic parties, as the recent vote on the Trans Pacific Partnership demonstrated,” said Sawant. “I appeal to the thousands of supporters who have donated or volunteered for my campaign to join me at the Sanders rally. Let’s make Saturday’s rally a show of force to the billionaires who think they can buy our elections. Wear your 15 Now or campaign t-shirts and let’s greet Bernie Sanders with a sea of red supporters. Let’s show him how strong the socialist movement is in Seattle!” declared Councilmember Sawant.